Episode 2 of Strategy Street for our listening pleasure! 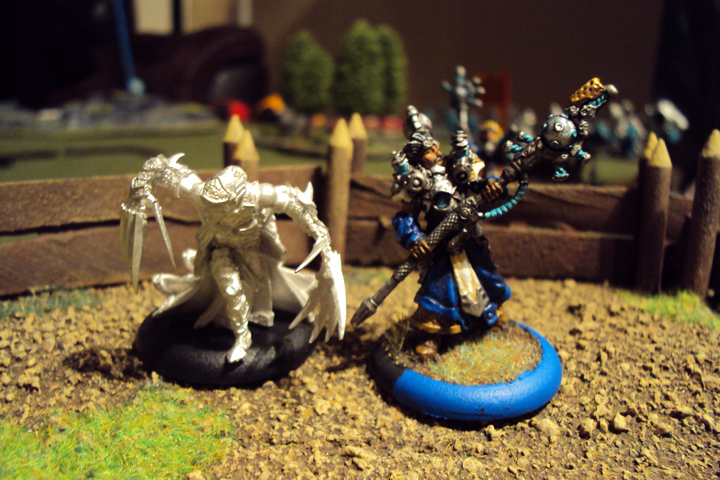 We visit last weeks game where I play Darrell and his fan made protectorate list! Let me know if you like the classical twist. It was my turn to be on the podcast this week. We have started doing random pairings in our gaming group lately which I like because it reduces the chance of getting listed. I was matched against Kassem this week. I hope you guys aren’t get too sick of seeing Ret V.s Skorne. We all brought two 35 pt lists in preparation for the upcoming “Youngbloods” tournament taking place alongside the Southern Ontario Open master’s event. My lists were eVyros and Ossyan. Kassem’s were pMorghoul and Xerxis. Podcast 013 – Well, Sometimes You Forget Stuff and Lose Games. 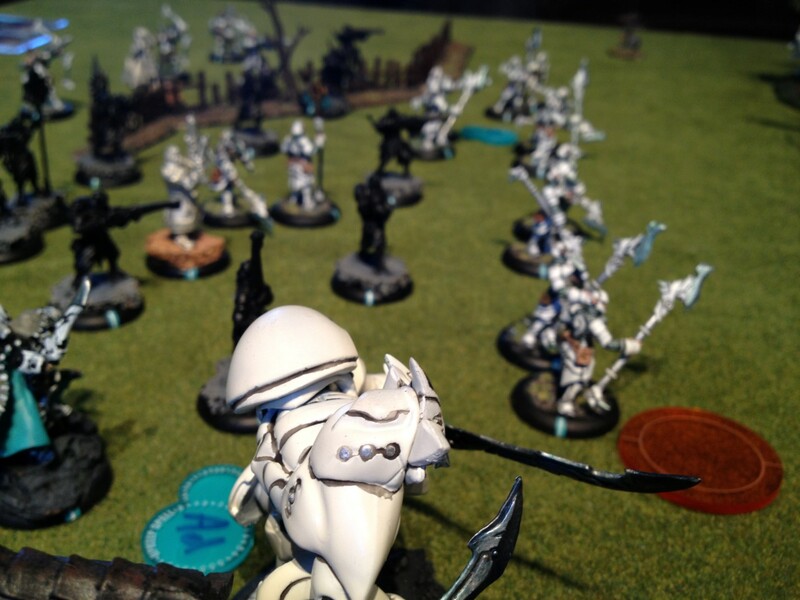 This weeks Warmachine battle sees the likes of the cold-hearted Khadoran juggernaut charge slowly toward the equally slow but probably less chilly goliath that is Skorne. My opponent Kassem and I decided on a 50pt two list format using 10 minute turns with one 5 minute overage per game. 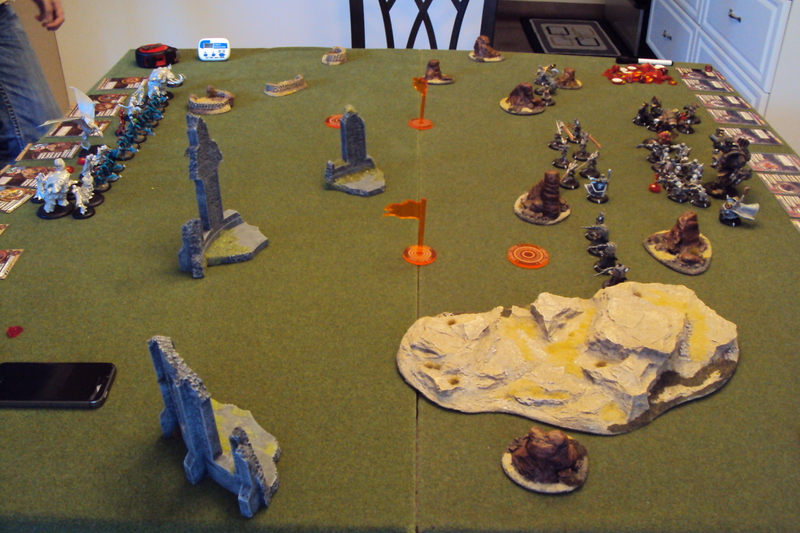 The scenario we played was Fire Support: two flags, one friendly objective a piece (artillery models within 4″ gain boost damage rolls) and Killbox. 1. We somehow managed to lose about 5 minutes of recording. I blame Marc. 2. The audio quality for the first minute or so is sub-standard. It improves right after Nick puts up his hand to talk about news and announcements, though, so I blame Nick. We rolled for turns and had to do two roll-offs which I eventually won and chose to go second. By the way, whenever I say ‘roll-off’ I think of that TLC show Little People, Big World about that family of midgets. Sorry, that’s not PC. I think they prefer to be called Ugnaughts. 2 more Battle Reports this week. And so we decided to report on both! Full write ups will follow, but for now at least you can listen!